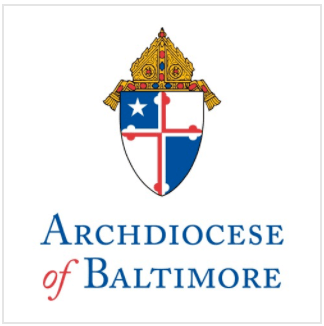 Two Catholic schools in the Archdiocese of Baltimore, St. John Regional School in Frederick and Resurrection-St. Paul School in Ellicott City, were named National Blue Ribbon Schools by the U.S. Department of Education earlier today, becoming the 12th and 13th Catholic schools in the Archdiocese to receive the honor. The designation is the highest academic honor bestowed upon a school by the U.S. Department of Education. The Blue Ribbon Schools Program honors public and private elementary, middle and high school that are either academically superior or that demonstrate dramatic gains in student achievement to high levels. The schools will be honored at a ceremony in Washington, DC, later this year and will receive a plaque and flag signifying their status. St. John and Resurrection-St. Paul join the following Catholic schools in the Archdiocese to be named Blue Ribbon schools. St. John Regional School in Frederick has a current enrollment of 572 students. Resurrection-St. Paul School in Ellicott City has a current enrollment of 539 students. In both schools, students in grades three through eight far exceeded the national average on standardized tests taken last fall.